Jazz and cinema is an abidingly rich theme. Peter Bacon reports on a new festival dedicated to the coming together of the two art forms. The first Offbeat Jazz and Cinema Festival will take place at Ciné Lumiere in South Kensington on 24-26 May. It will feature live music soundtrack commissions, preview screenings, Q&As and panel discussions. The festival’s specific focus is the relationship between jazz and cinema in France, both past and present (France's Le Bureau Export is one of the producers). It will include the UK premiere screening of Django, the new French biopic of the guitarist directed by Etienne Comar, which will take place on Thursday 24 May. The premiere will be followed by a Q&A with jazz writers Kevin Le Gendre and Selwyn Harris. There will also be a showing, on Friday 25 May, of the rarely seen American silent movie Broken Blossoms (1919), directed by the pioneering director WD Griffith, which will be accompanied by a live soundtrack performed by the young French pianist-composer Armel Dupas. 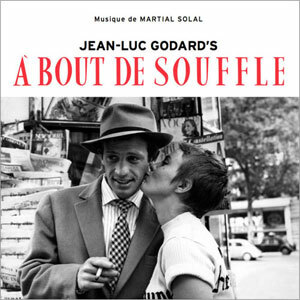 A screening of À Bout De Souffle (Breathless), the hip, nouvelle vague film from 1960 directed by Jean-Luc Godard with music from Martial Solal, will be preceded by a performance by another young French pianist, Gauthier Toux (his new album, The Colours You See, will be released in May on the Naim label).Toux will re-interpret a selection of themes from Solal’s score for the movie. This is on Saturday 26 May. On Friday 25 May at the Bibliotheque, in advance of the publication of The History Of European Jazz edited by Francesco Martinelli, its publisher, the author and BBC broadcaster Alyn Shipton, will host a discussion with expert panel guests (to be announced). The discussion will focus on the connections between jazz and cinema in France and reflect on some of the issues raised by the events at the festival. And, for younger fans of cinema and jazz, there will be a Ciné Kids presentation of Who Framed Roger Rabbit? (1988), preceded by a short musical presentation introducing the movie’s key jazz themes. The Offbeat Jazz and Cinema Festival is produced by Offbeat in association with London’s Ciné Lumiere and France's Bureau Export.